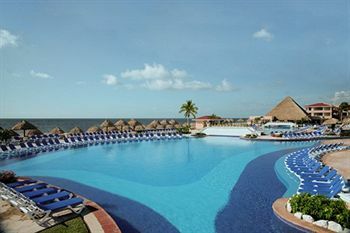 The Moon Palace Resort Cancun is huge! 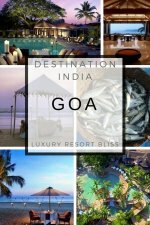 With thousands of guest rooms, this resort receives scores of mainly great to outstanding reviews. The various packages offer flexibility and a range of options which we can explore. Special offers and reviews on Moon Palace Resort. Amenities at the Cancun Moon Palace: There are 2 indoor pools, 2 indoor jacuzzis, 4 swim-up bars, 2 outdoor pools, 6 outdoor jacuzzis, 2 kids pools, 10 restaurants, 2 lobby bars, a discotheque, shuttle carts, a shuttle bus to Cancun, a kids club, mini-golf, water sports and more. The video below is of the FlowRider Double at Moon Palace Golf & Spa Resort. Only but one of many attractive features of this resort. Location: This resort is only 10 minutes from the airport and close to downtown. It's on the beach. Rooms: The majority of the 2,031 rooms have ocean views. Physically challenged rooms are available. 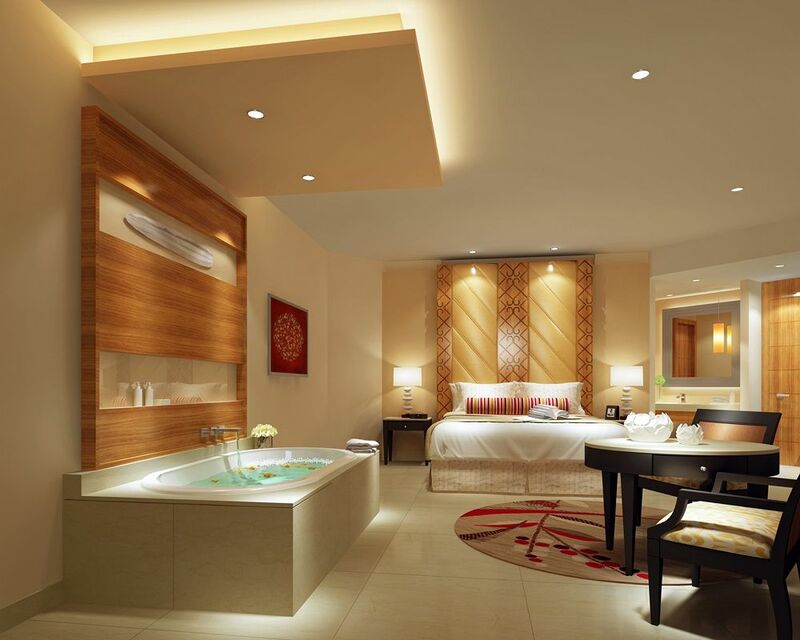 Double jacuzzis are available in Superior rooms. 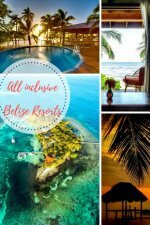 All Moon Palace Resort packages include all meals and snacks, drinks, non-motorized watersports, live entertainment, taxes and tips and the kid's club. Two outstanding packages available are the Golf and the Deluxe package. The golf packages incur extra fees. The courses are the Jack Nicklaus Signature and the Playacar Golf Course. You get all green fees, transportation, snacks and beverages, and a shared golf cart. Without the all inclusive package, golf is $250 with a 1/2 cart and snacks. Deluxe Package: This package includes massage, manicures & pedicures, two tours, a priority ocean view room and round trip airport transfer. Kids Club: It offers crafts, video games, movies, outdoor activities, off-site outdoor activities, sport and beach activities. Los Caporales Mexican: lunch buffet and dinner a la carte. La Gandola Italian: breakfast and dinner buffet. Bugambilias: fine Mexican breakfast. Lunch and dinner buffet. Night owl snacks. Palapa Pelicanos Grill & BBQ. Palapa Delfines: American & Mexican fast food. Palapa Fragata: American & Mexican fast food lunch. Moon Palace rates over the moon for families with children and those on a honeyMOON. Seriously, it gets great reviews but not perfect. A few are overwhelmed by the size of the resort in comparison to the amount of signs. This resort will suit many down to a tee, especially the golfers looking for an all inclusive celebration. See the latest reviews here. More information and deals at Expedia. 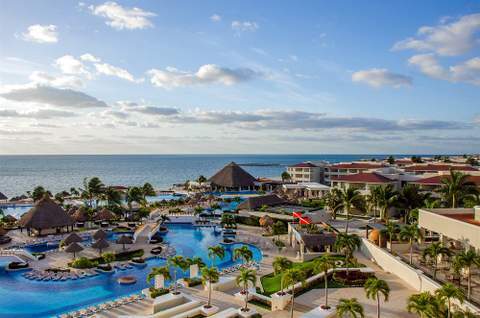 If you are continuing to look around, we would definitely recommend you check out our All Inclusive Mexico Page and our Cancun Resorts Pages. 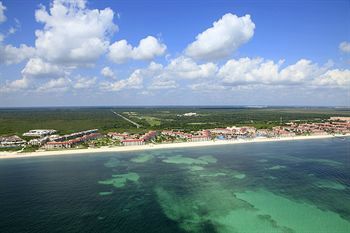 There are other similar resorts to Moon Palace Resort Cancun.